A carte-de-visite portrait of the French baritone Marc Bonnehée, born 2 April 1828 in Moumairs (Dep. Basses-Pyrénées), died 28 February 1886 at Passy, near Paris. 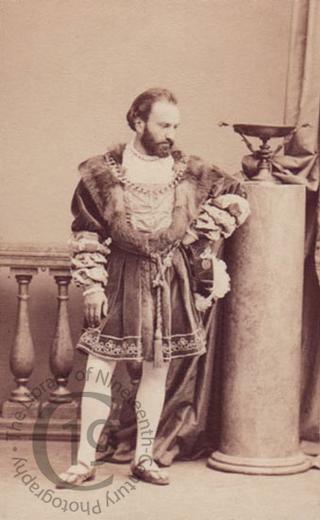 He is probably seen here in Prince Joseph Poniatowski's Pierre de Médicis, in which he created the role of Julien de Médicis at the Académie Impériale de Musique on 9 March 1860.